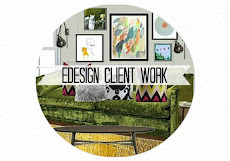 Last week I shared a design board for one of my e-design clients that lives in Kentucky. Love her. Here's the first board that I sent, just to get an idea if we were on the right track with fabrics. She was crazy for the suzani print, so I had built on that. As soon as she saw all the coordinating fabrics she realized that these were the same colors she usually chose, and wanted to break out of that mold this time. 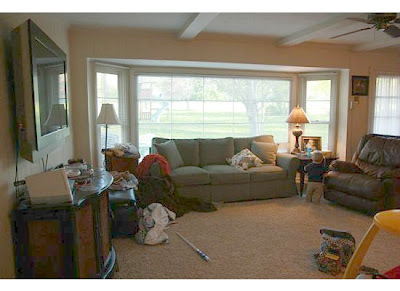 I was so glad she was honest with me because I would hate to decorate a room that made my client feel "ho-hum". Let's start with a tour. 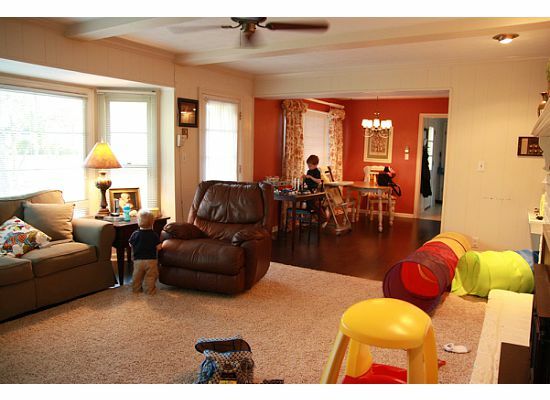 She has a great open space but the dinning room/kitchen color is not staying. And if you knew Maria you wouldn't believe that she even lives in this room because she is so much more colorful! All this creme is making her crazy. I'm recommending the paneled walls be painted Horizon by Benjamin Moore. 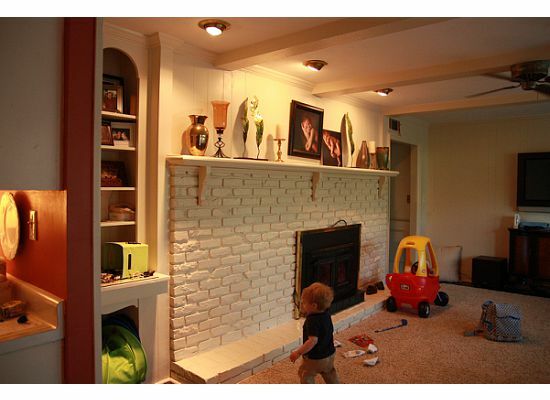 The trim goes white, and the fireplace/mantle Half Moon Crest by Benjamin Moore. 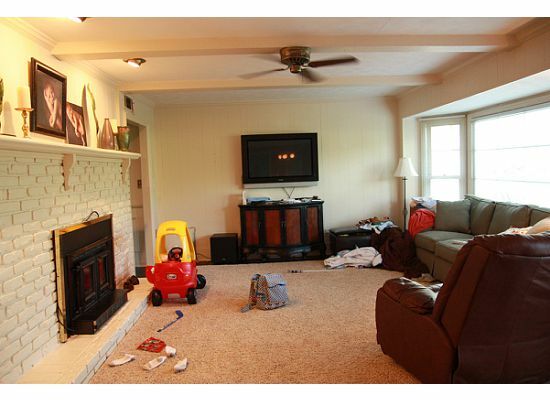 Since this photo was taken her handy husband actually built an insert and removed the fireplace they didn't like. Now it just needs some dark grey paint and to be filled with birch logs. (See design board.) I would clear the mantle of the small pieces because your eye doesn't have a place to rest--and then you don't really see anything. 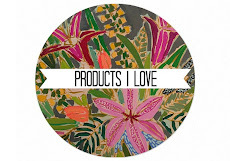 I found three botanical prints I would recommend from vintage printables that are FREE. reupholster two wing back chairs she has in a deep navy velvet. The TV wall will be filled with empty and filled frames and mirrors that she already owns. This view is the trickiest because of the window. If she keeps the sofa there I would pull it out a bit, and hang drapery panels on the front of the wall, up to the ceiling. 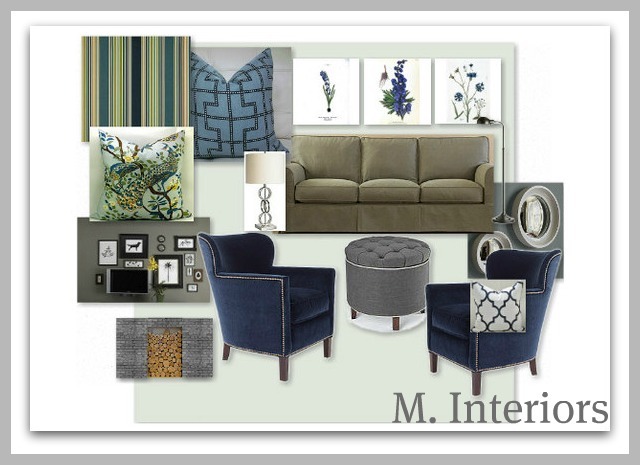 Here is her navy and grey inspiration board. Do you like? Would you use any of these pieces in your own home? Maria loves it and I was able to keep this under budget. Hooray! 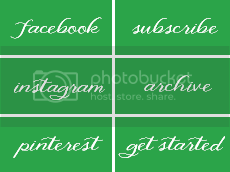 I know I've been bombarding you with design boards lately, but I still have another one to complete this week. We have the big pieces selected but there is still a lot of filling in the gaps to do. So if you hate design boards--just hang with me! And if you love my boards then gear up! I'm loving navy right now so this really works for me. She must be thrilled! I love your boards! Keep them coming. I forgot to ask...how did she talk her husband into getting rid of his chair? My husband won't get rid of his ugly Lazy Boy no matter how much I beg. Abby- I love looking at your inspiration boards. 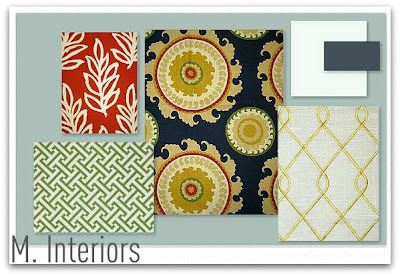 The colors and textures that you've suggested for your client are practical choices for a young family. While the colors are more subdued, the addition of botanical prints and fabrics will inject life and movement into the space. I can see why Maria loves it. I love seeing your design boards - amazing ideas! Really like the new navy & grey scheme. Very peaceful. Wow, I really like both Abby.. Could you share the name of that navy based fabric in the top board? I LOVE IT. By the way this is Courtney from andthentherewashome.blogspot.com. Your comment box keeps logging me out for some reason, lol. I love that the new board not only changed colors, but really changed the mood--much more sophisticated, and a little less energetic, without losing a sense of personality. Nice! Thanks ladies! Your comments are so thoughtful and kind. I did link the original board (just now) to Olioboard so if there are any fabrics someone wants the source to just click on the board and scroll down the page. I love the design boards too! I really like the botanical prints (and bonus that they are free downloads!) and the chairs. Great board. Keep those boards coming Abby, they look great and it is fun to see what you are up to. I absolutely LOVE the plan!! I cannot wait to live in this room! Abby has been a blessing of creativity, patience and fun...it's been a great process. She sifted through TONS of inspriation and "likes" that I sent her way and boiled it all down to this beautiful design...PERFECT!!! The blue velvet chairs are fabulous! I love the boards. My fav from this board are the chairs. Amazing! I am loving the choices you made for the second board Abby. 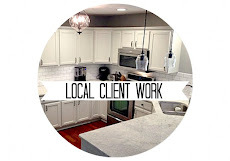 Your client is going to love it! The navy chairs are GORGEOUS! Navy and gray. So handsome and classic. You are on such a great roll girlfriend!! This is such a big space! I'm curious to see how you work your magic on it! Looks like it's headed in the right direction! Love the grey & blue colour scheme! It's gonna be fab! Adore the navy chairs! I adore where you went with this! 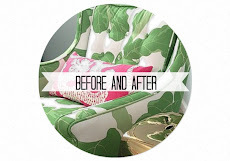 I love that you showed the process of working with a client, changing a color scheme and suggestions made. Great job!